It bothered me to be labeled a nomad. I consider myself a rooted individual not a wanderer. I live in New York City and own a home in Chicago. I hop from my parents’ house in the Chicagoland suburbs to various dwellings across the globe. I may possess more travel size toiletries than the average person but my bags are not always packed. If I needed to get on a plane or train in a hurry, I could be out the door in 15 minutes, sweating en route, but looking pretty darn fabulous on the other end. That’s normal right? The idea of a being a nomad rolled around in my head for months. Am I someone who wanders? This was part of a larger question for me. Was this the life I wanted to be living? Was this where I wanted to be in 20 years? The answer: No. I worked in government/politics for 18 years. I am proud of my successes and my accomplishments. It was never dull and changed every day. It fostered my caffeinated spirit and my thirst for knowledge. The job changed every cycle. I moved from city to city, from apartment to apartment. I thrived on learning every aspect of a campaign and working with smart, driven people. It was fun. I traveled. I met some of my closest friends. I worked non-stop and when the job ended, I took a hiatus to travel, but then a cycle started again. The players changed but the game remained the same. After the 2016 election, I booked a flight to Germany to experience the Christmas markets. 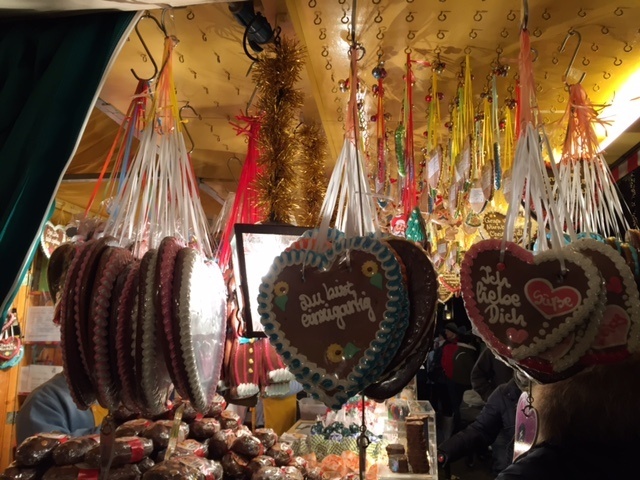 I drank Glühwein (mulled), visited with family and friends and walked every corner of the selected markets, but for the first time in my travels something had changed. I was not present. I took photos. I smiled. I talked to locals. I shopped for clothes. I existed in Germany in body and spirit but my mind careened off course. I tried again in Australia, my safe place and home away from home. The coastal walks taunted me and the heat drained my energy. There were days when I sat watching Netflix Hallmark movies rather than meeting new people. Upset with myself, I resolved to find “fun.” I shopped (thank you Lorne Jane), devoured oysters, prawns on the barbie and fish and chips, and drank every glass of wine presented to me. Did I mention eat and drink? I paid homage to the Sydney Bridge daily and I slowly started admitting that I needed to make a change in life. When I returned to New York City after the New Year, I threw myself into work and politics but I ached for something different, a part of me dying. I lacked the desire, drive and ambition to be the “old” me. The fire in my belly dissipated. I ignored my intuition at my mental and physical expense to make my clients happy. That is until February when a writing course in Montana shook me awake. 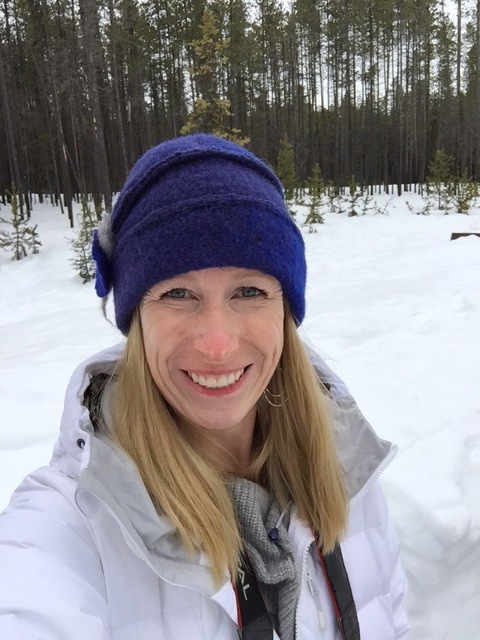 In a little place called Whitefish, Montana, my love for travel returned. My smile shined, the locals were kind and forgiving and I questioned everyone who would listen. The snow drifted from the sky in big chunks and I opened my mouth to capture a taste. I spun around in dizzy circles like a figure skater on ice. I conquered snowshoeing for the first time and laughed myself silly as I stomped along the trail like the Abominable Snowman. A childlike state came over me. The wheels were turning and I was thinking, thinking, thinking. I attended Haven’s Writing Retreat with nine dynamic women eager to tell a story. The pages turned for some but mine were blank. I fought anger, sadness and nothingness. I didn’t belong there and I wanted to go home. Where was home? I didn’t know anymore. At times, my voice and my pen took me to the Sydney Bridge, my happy place or chasing the past with friends but most of the time it landed on unexplored destinations where daydreams become reality. 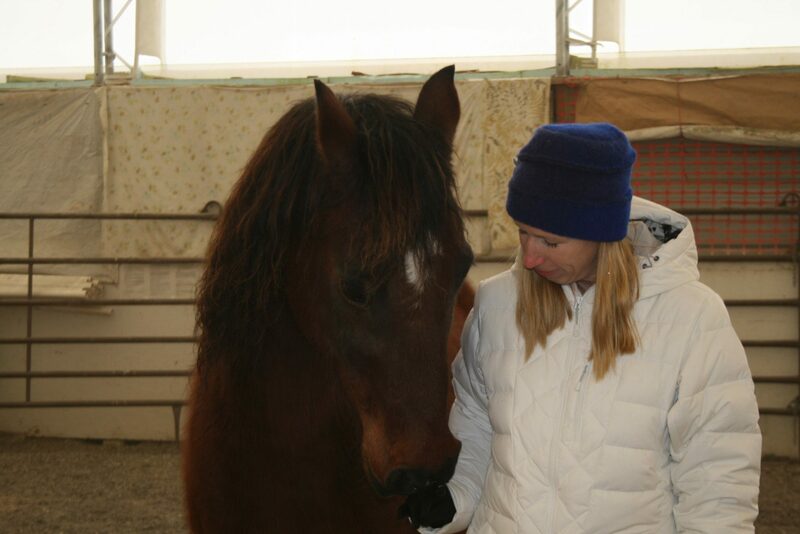 One night, I stepped outside into Montana’s “Big Sky” blanketed with twinkling stars. I stared at the infinite darkness–alone. The air was cold and fresh, the silence calming. I stood entranced. Sadness existed deep inside me. That night I wrote. The words flowed from my pen to the notebook like water released from a dam. My mind raced with thoughts about my job, dating life, my parents, brother, a friend. I wrote for eight hours and when my arm cramped and I pushed away the tears, I fell asleep. I awoke a new person. And it was in the quiet moment of a late February morning that I embraced the true definition of a nomad. I enjoy roaming from place to place aimlessly. It’s my passion to discover new people and places. I study travel guide books for fun and attend travel shows to meet the experts I aspire to be. My path is not the path of my friends and family or even my colleagues but it fosters my creativity, my passion and my desire to be out there in the world. The decision to leave my business and livelihood is not easy and I entertained many flattering offers before cutting the cord. It’s hard to say goodbye and lots of people tried to convince me I was crazy. People whom I adore and respect. It’s scary to jump off the edge of the cliff not knowing what’s below. My prior attempts at leaving left me dangling for years in no mans land but this time I chose to listen to my gut and leap with my heart. My mind is still processing. I hope you will join me on my nomadic journey. My future posts promise to be funny and entertaining and will delve into travel, soul searching, job exploration, rants and for my parents’ sake maybe even love. My four days of freedom were only slightly interrupted by the arrival of Patrick, my brother. This is the same brother who would not normally venture to a foreign land 20 hours away and not with his sister of all people. Everyone can exhale. We both survived in spectacular fashion. After a herculean effort to make his flight from San Francisco to Sydney, Patrick arrived jet lagged and in need of food. 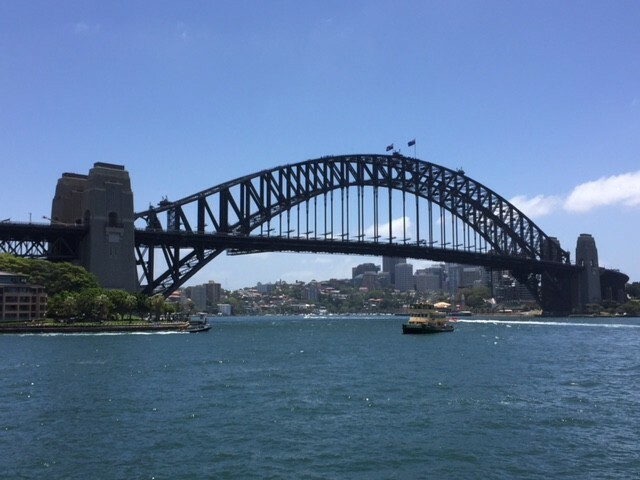 We ventured straight to my favorite spot – the Sydney Harbor. It’s a tradition that I started with me, myself and I on my very first visit to Sydney in 2004. Upon my arrival in Sydney, I go directly to Starbucks, grab my coffee (now a whopping $7.15 for a Grande Frappuccino) and do not stop until the bridge and opera house greet me with open arms. It struck me that Patrick did not seem as impressed with my routine but maybe a 22-hour flight and 80 degree heat will do that to a person. As this is Patrick’s first time in Australia, I wanted him to share the appreciation and I had for this incredible city. We taste tested the Mercantile Hotel’s burgers, a town pleaser and beer and Patrick retreated to his hotel for a whopping 15 hours of sleep, while I visited with New York friends for dinner at Manly Beach. Finally, the big day arrived and Santa located Patrick in Sydney but somehow neglected my stocking–typical I suppose. My dear Australian friends Angus and Maryam invited the foreigners to a Christmas barbeque Brazilian/Aussie style. The weather did not cooperate but who can complain about 70 degree temperatures even if it’s raining. Within moments of our appearance, Maryam’s brothers visiting Sydney from Brazil conjured up cherry cocktails and mouthwatering (truly) bites of seasoned beef. The booze and beef flowed throughout the afternoon and we spent a lovely day chatting about politics, guns (right after Connecticut shooting), the U.S. economy, travel and family. When I first experienced an Aussie Christmas in 2010 with Jono and Jill, I figured Jono’s mother was either a master cook or a glutton for punishment but now that I’ve eaten my way through another Christmas, I’ve concluded an Aussie Christmas warrants overindulgence. This Christmas afternoon we consumed eight kilos of meat (17 pounds), a case of wine, two cases of corona, two boxes of scampi, half a ham, a salad, potatoes and somewhere in between the courses of various cuts of meat, we disposed of a cheesecake. A cast of characters joined in our demise- friends of Maryam and Angus who stopped by for a spoonful here and there but mostly the core group of eight of us made for a silly afternoon and an even more dramatic morning. I continue to make this mistake and maybe one of these days I will learn but I should never ever book a flight or get on an airplane the day after any type of celebration. Boxing Day here in Australia is a holiday for a reason. People need rest and recovery time after Christmas festivities. Instead I found myself at Sydney airport early in the morning dry heaving and wishing I had not left my Excedrin in the extra bag at Angus’ house. Patrick seemed to be in much better shape and even enjoyed his first Pie Face experience at the airport. It’s still foggy but I boarded the plane to Adelaide and even managed to sit in my seat for a few minutes before bolting to the bathroom in what would be come my craftiest move to date. Pleading motion sickness the flight attendant found me an empty row to sleep off my massive hangover. It’s important to note, Patrick left me to my own devices, which worked to my advantage. I awoke minutes before landing, fully covered with a blankie and my head resting gently on a fluffy pillow (a rather comfy pillow for an airplane) and a much-needed ginger ale at my side. An hour and twenty minutes later, Patrick and I arrived in the Barossa Valley, a famous wine region outside of the City of Adelaide in South Australia. I faired the transfer ride rather well but missed on an important opportunity to converse with our driver–my favorite activity. We stayed at a beautiful resort, (the Louise) situated on a vineyard and home to the top restaurant in the region. Patrick pointed out the obvious. He much preferred visiting this hotel with a significant other but would settle for me. The Barossa Valley population is small with only about 200,000 residents and an area of about 32 miles wide. It consists of 85 cellar doors and more than 100 wineries. The Mediterranean temperatures are perfect for grape growth and wine production with warm, dry days and cool nights. After sweating for nearly three weeks, Barossa proved to be a place I could finally enjoy a day in the sun. Patrick made the most of our first day in Barossa hitting the wineries by bike, while I spoiled myself with cheese and sunshine and a nap on our terrace. Our tasting dinner at the Appellation was equally delightful. The chef prepared the meal with local and seasonal produce. It was just a shame I overdid it on Christmas. Our time in Barossa was quite peaceful. We enjoyed a wine tasting day where we visited some of the regions (and Australia’s) best vineyards: Henschke Cellars, a high-end, family owned winery in Eden Valley; Yalumba, our favorite and also family owned with delicious shiraz and cabernet sauvignon; Rockford, an old fashioned stone tasting room with great sparking reds; Hentley Farms, Peter Lehmans, a winery with decent wine but gorgeous grounds and Tsarcke’s, a winemakers successful experiment with shiraz. Shiraz is the wine of choice (Syrah to the rest of the world) but the area turns out some great bottles of Grenache, Tempranillo, Cabernet and Riesling as well. A few of the wineries produce a sparking red not to be confused with a Rose but it’s the Barossa Valley’s answer to black gold. A small amount of sparkling red is released and they are typically gone by the end of the month. Harvest in Barossa occurs anywhere from the end of March to mid-April depending on the weather. 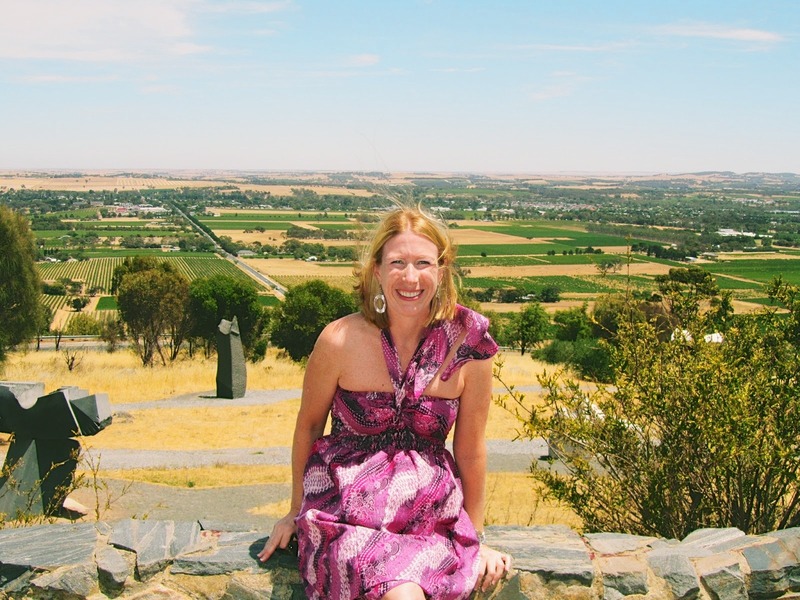 Tourism and wine are the mainstays of the Barossa Valley and after sampling some of the best and worst I can see why. Even the less known varieties and labels were excellent. I have a bucket list. It gets smaller each year but as a planner I like to check things off the list. I’ve been trying to fly in a hot air balloon for about four years. It seems Mother Nature needs to provide clear skies and mild winds in order for balloons to fly safely. 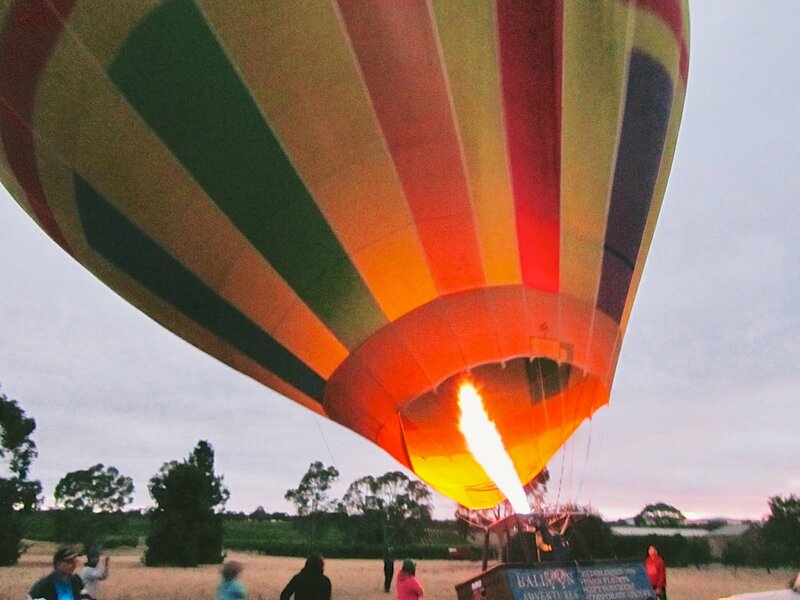 Alas, in the lobby of our resort, I scan a brochure of a multi-colored balloon and an opportunity to fly high above the Barossa Valley. I asked Patrick if he was interested and he clearly didn’t seem to be as excited as I was but agreed to come along for the ride. With a pick up time of 3:45 am, it’s tough to appreciate the experience on such little sleep but with the momentum and clear skies in my favor, I savored every minute. Our guide drove us around to a few locations to test the wind speed and when we located a spot for launch a group of 12 of us nervously awaited the next step. The balloon was unrolled from its packaging bag and a massive fan filled it with air while the basket was tilted over helplessly awaiting passengers. Keep in mind it’s pitch dark and now approximately 4:45 am. It took about 30 minutes before the balloon took shape and the basket could be pushed upright. After our successful voyage, we celebrated with a breakfast of champions including champagne, local cheeses and meats, quiches, pizzas and tea and coffee. The air still cool but the sun fighting through the clouds blanketed us with warmth. Another adventure to cross off the list but more importantly another dream realized. I loved it. A small city located in South Australia, Adelaide has a population of about 1.2 million and is the fifth largest city in Australia. The British founded Adelaide in 1836 but there are people from all over the world living in the city and its suburban parts. In 1838, six German families landed in Adelaide having left Germany to avoid religious prosecution. Most of these families headed to Barossa to make use of their wine making and agriculture talents. There are also, Italians Scottish, Vietnamese and Greeks calling Adelaide home. It wasn’t hard to figure out why Adelaide was coined the City of Churches. Walking around the Central Business District and the surrounding areas one would be hard pressed to not find a church on every block. The irony being the last Census in 2011 found Adelaide one of the least religious cities in all of Australia. Most the population identifies itself as Christian with the largest denominations being Catholic, Anglican, Uniting Church and Eastern Orthodox. Most Adelaideans work in the healthcare or social service arenas but the area is very well known for its universities, education and sports. There is also a large manufacturing base present. There are some international banks in the Central Business District and lots of shopping opportunities. I most enjoyed my visit to the Central Market where I sampled lots of local produce. My new favorite dishes are Bircher Muesli and passion fruit swirled with a delightful Greek yogurt. It’s not like I ever find myself lacking for meals but this market filled with fresh fish, meat cuts, Thai massage, souvenirs, ethnic spices and dishes could make even the most healthy eater get a little crazy. Somewhere between Bali and Australia I became obsessed with finding the perfect bowl of Muesli, a breakfast meal with rolled oats, fruits and nuts and you can have with milk or yogurt. Adelaide proved to be the winner. In Adelaide, Patrick and I met up with my friends known to most as the “Germans.” I met Corinna and Ingmar on my last trip to Australia in 2010 on a tour along the Great Ocean Road (Melbourne). Since our spontaneous meeting, the Germans have visited NYC (Corinna twice) and I have gone to Hamburg, Germany. Here in Adelaide we meet again. It’s comforting and personally rewarding for me to have friends all over the world. I get a kick out of Corinna’s planning and Ingmar’s calming ways. They are beautiful, kind and sincere people and I am fortunate to call them friends. We celebrated our Australian reunion over some fine wines and food South Australian style. Our inaugural trip to South Australia provided me (and I expect Patrick) with a different outlook on Australian life. People move at a slower pace, there isn’t the hustle and bustle of the big city and food and wine is part of the daily life not just for celebration. People live in towns with a population as small as 20,000 and then commute to Adelaide or surrounding areas. Adelaide is situated between the Indian Ocean (St. Vincent’s Bay) at the Adelaide Hills and the charming River Torrens runs through the heart of the city giving way to parks, gardens and lots of open space for running, biking and picnicking.